i’m lucky enough to be spending a little bit of time in sydney over the next couple of months – both for work and with family – and i’m excited to try some brunch spots in between meetings and cuddles with my baby nephew! last week, at the recommendation of a work colleague i paid pablo + rustys a visit. 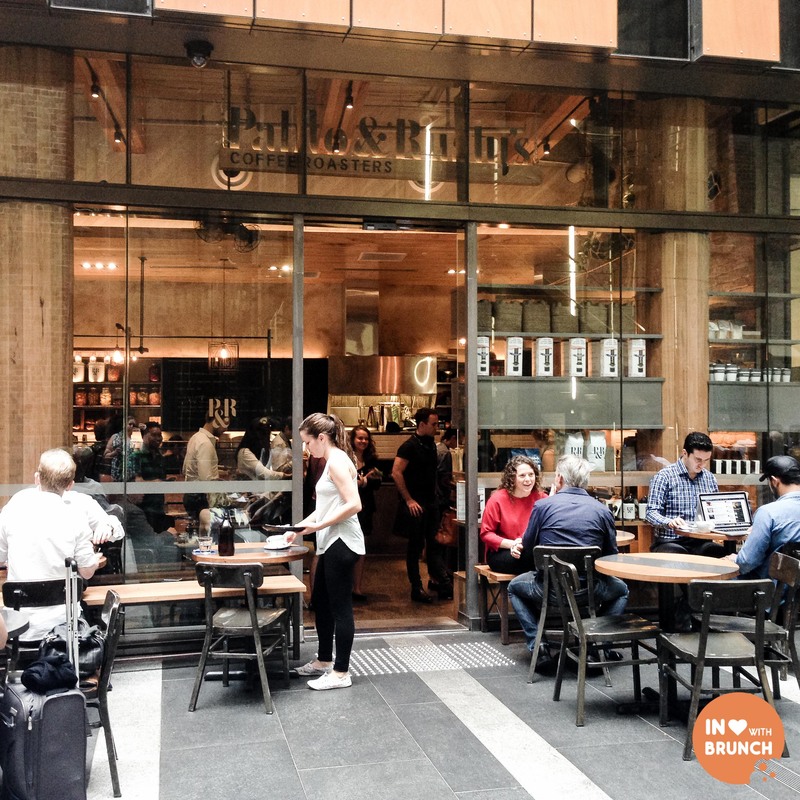 situated in a beautiful atrium in sydney’s cbd, the café has a rustic/industrial feel which goes well with the mix of new and old office buildings surrounding it. the breakfast menu has some quite unusual offerings. for example, tasmanian king salmon cured in beetroot and served with zucchini and dill fritters, and a fascinating-sounding osso bucco on sourdough toast with poached eggs, feta, gremolata, peas + preserved lemon… this is on my to-try list for next time. however, i opted for something a bit lighter this morning as i had an exam coming up and wanted to be awake and not too full. 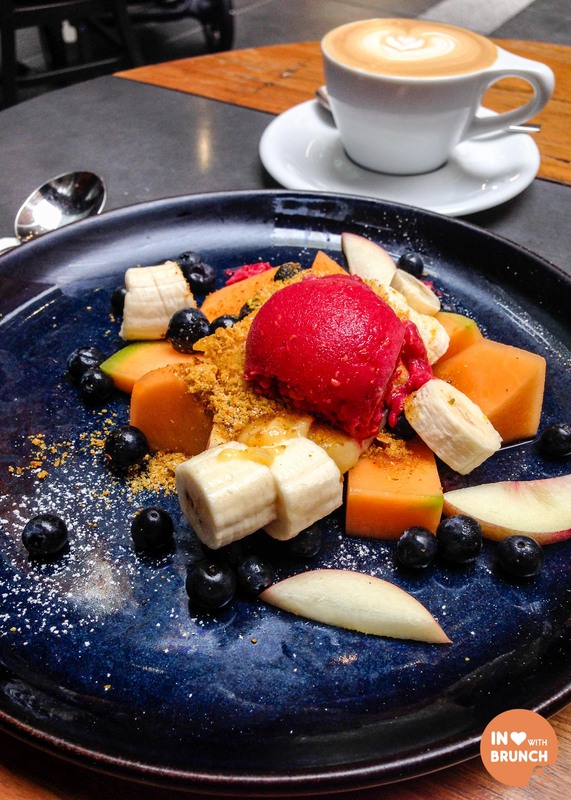 markets best summer fruit with salted pistachio praline, lemon sabayon + raspberry sorbet. vibrant + fresh this was a wonderfully refreshing dish! the fruits were perfectly ripe and the raspberry sorbet added a beautiful cold texture. the crunch of the praline was a great combination and my favourite – the lemon sabayon – was tangy, smooth and creamy. 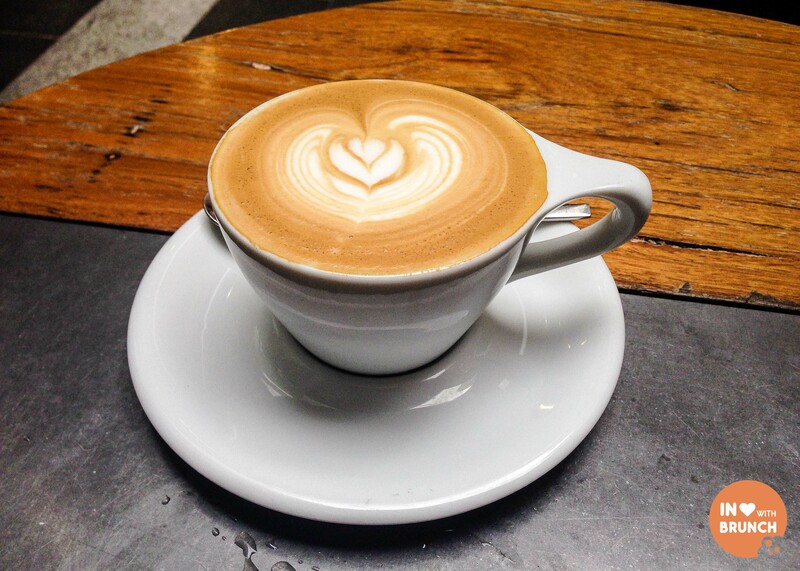 flat white. these guys roast their own coffee, and the blend is strong, aromatic and very smooth. the café was very busy with people ducking in for their early morning coffee or breakfast before work, but staff were still quick and efficient. being able to sit outside in the courtyard-slash-walkway and people watch was fantastic – i love being in unfamiliar environments and just watching the world go by. a beautiful start to the morning.